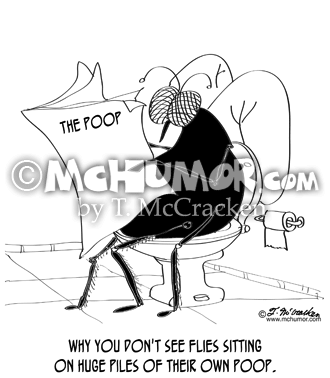 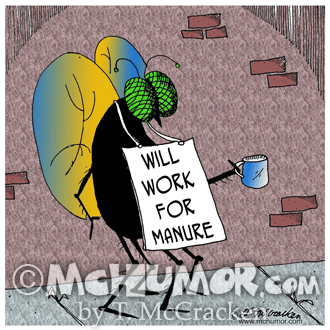 Insect Cartoon 6515: A huge fly pan handling with a sign, "Will work for manure." 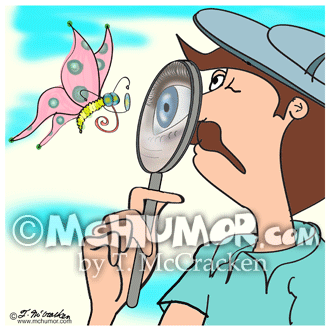 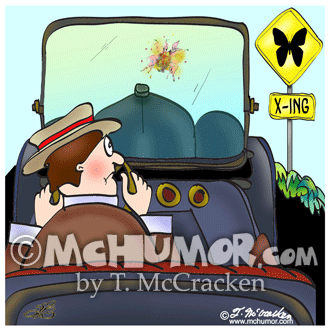 Butterfly Cartoon 8633: A butterfly sees a humongous eye in a magnifying glass as a man looks at him. 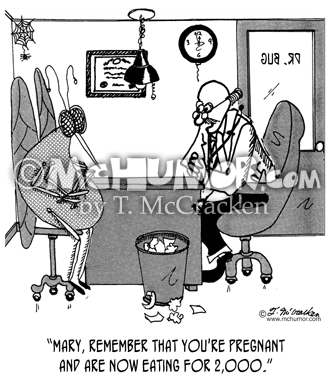 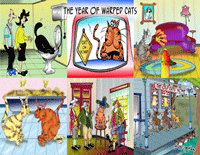 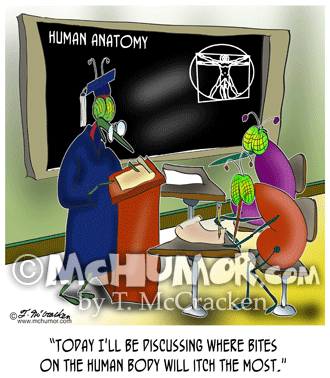 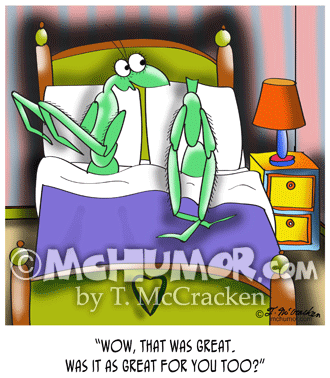 Diet Cartoon 1983: A doctor saying to a huge bug, "Mary, remember that you're pregnant and are now eating for 2,000." 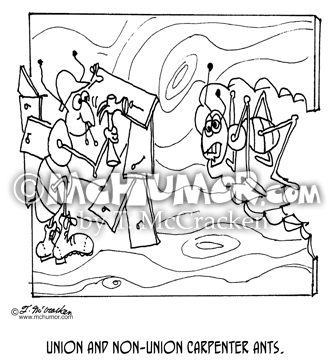 Insect Cartoon 5733: "Union and Non-Union Carpenter Ants." 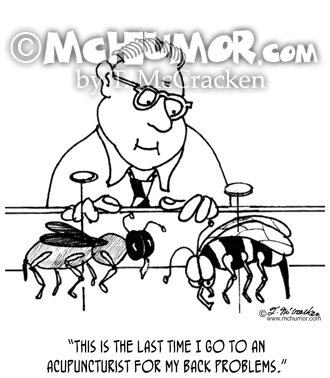 One ant eats away at a house while one pounds tiny boards over a chewed up area. 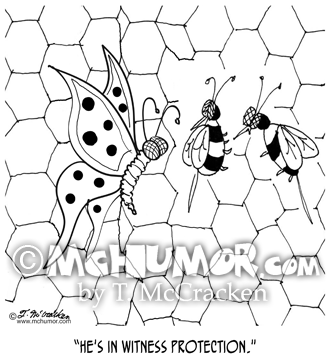 Butterfly Cartoon 8922: A bee says of a butterfly in the hive, "He's in witness protection."